In 1972, Texas A&M University, College Station, Texas began reroofing their facilities using polyurethane foam. Why? Because it Works. Polyurethane foam, when applied to a roof, fills in any cracks and smooths over any seams or irregularities. The potential for leaks is virtually eliminated. That means keeping water out and energy in. Texas A&M kept careful records on the performance of their new roofing system and found they have reaped reductions in maintenance costs as well as decreased energy expenses. Of the ten million square feet of roofs at the central campus, over 90% are now protected by spray polyurethane foam. 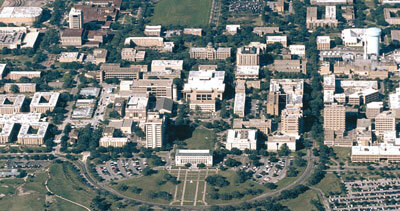 Texas A&M uses nothing else for new or remedial roofing. Results of the study performed by Gerald Scott, Director of Energy, Texas A&M University.